If you have not already registered and signed in to the website, use the Login page to do so now. You can retrieve a forgotten password as well. Print a Membership Renewal Form if you prefer to mail a check. 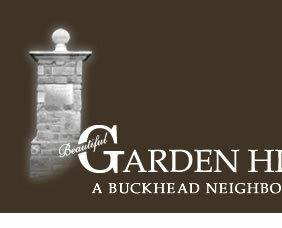 Communications We distribute the Garden Hills Town Crier email alerts to 1,000 residents, maintain gardenhills.net website, organize public meetings, and publish the neighborhood directory. Zoning We maintain protective covenants on several properties in the neighborhood and take an active role in zoning related activities that impact Garden Hills. Security Patrol Your dues fund the security patrol of off duty Atlanta Police Officers and the security cameras. Last year, our Patrol logged more than 1,796 patrol hours in Garden Hills, performed over 219 home security checks for members while they were out of town.